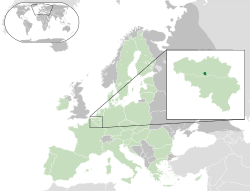 She preeu-valley ny Belg ee yn Vrussyl (Frangish: Bruxelles [bʁysɛl], Ollanish: Brussel [ˈbrɵsəɫ], Germaanish: Brüssel [brʏsəl]). T'ee ny balley raad ta oikyn yn Unnaneys Oarpagh ny lhie. Ta kione-cherroo Reagheydys Chonaant yn Atlantagh Hwoaie soit 'sy valley chammah. Ta'n Vrussyl ny preeu-valley son scheimyn aitt lhied as Lucky Luke, Tintin, Cubitus, Gaston Lagaffe as Marsupilami. Hie yn duillag shoh er ny reaghey er 14 Boaldyn 2015, ec 14:11.